USAID and Citi are broadening financial inclusion by fostering the rapid adoption of “mobile money” technology in developing countries. Of the five billion mobile phone users worldwide, nearly two billion lack access to banking services and instead rely on cash transactions that expose them to potential theft, fraud or loss, and high-cost lending and remittance providers that leave them vulnerable to endless debt and high fees. USAID and Citi will work with governments, donors, industry and other participants in the payments system. USAID expects to continue to support local mobile money platforms with over $23 million and Citi will integrate its core banking services with mobile money platforms to provide seamless integration between banking and last-mile, mobile-based payment services. Citi is a global bank that has approximately 200 million customer accounts and does business in more than 160 countries and jurisdictions. Citi provides consumers, corporations, governments and institutions with a broad range of financial products and services, including consumer banking and credit, corporate and investment banking, securities brokerage, transaction services, and wealth management. Proudly serving more than 100 million clients in 40 countries, Citi's Global Consumer Banking (GCB) business is among the largest retail banks in the world. Primarily known as Citibank and strategically centered in the world's top cities, GCB uses its deep footprint to deliver a consistent and enhanced client-centric banking experience. GCB accounted for nearly 40 percent of total deposits and 50 percent of total revenues within Citicorp in 2011. GCB consists of five primary business units — Retail Banking, Citi Branded Cards, CitiMortgage, Citi Commercial Bank and Retail Services — that operate in our four key global regions: North America, Latin America, Europe, Middle East and Africa, and Asia Pacific. Operations outside the U.S. account for approximately half our total loans, deposits, revenues and net income. Our GCB businesses are strong in some of the world's most important growth markets, from China, Malaysia, Korea and India in Asia Pacific, to Poland and Russia in Europe, to Mexico, Brazil, Colombia, Argentina and Panama in Latin America. In Mexico, Citi's Banamex franchise serves more than 20 million people and is the country's largest financial institution as measured by assets and customer-managed resources. Citi's Securities and Banking (S&B) business offers a wide array of investment and corporate banking services and products for corporations, governments, institutions and high-net-worth investors. In early 2009, Citi organized the company into Citicorp and Citi Holdings - crystallizing the company's focus on its core banking operations. 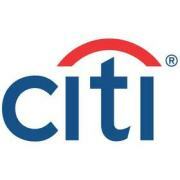 Citicorp represents Citi's core banking businesses and future growth opportunities, and Citi Holdings contains businesses and assets that are not core to the future of Citi. Citicorp includes the company's core global institutional and retail banking operations and serves businesses and consumers around the world. The Citicorp segment is focused on providing best-in-class products and services to grow the franchise profitably, reduce volatility and leverage the company's competitive advantages.